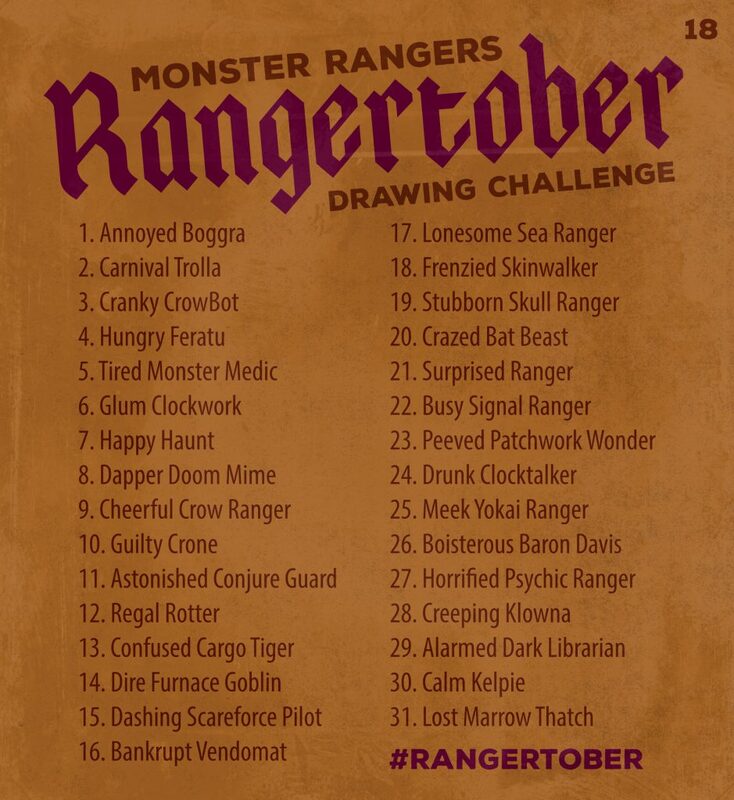 For the Month of October 2018, the Monster Rangers are hosting a drawing challenge; RANGERTOBER! Basically, we’re offering these drawing prompts for you to make a daily drawing. It needn’t be perfect, as the challenge itself is to help you become a better artist. The medium can be anything; pencils, inks, paint, montage, sculpture; however you want to do it. Spend a little extra time on it, and you can even use this art to earn your own ART SCOUT badge from our Art Mission. Make a piece of art for each Rangertober day, with your interpretation of the daily topic. POST the art on the DAY! Either on the FORUM or our Facebook Group.